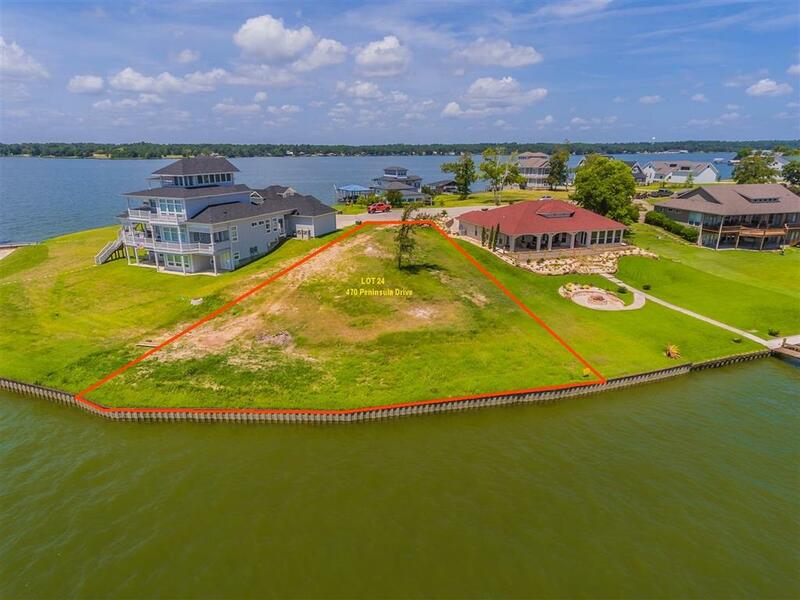 Premier Waterfront Lot on Prestigious Peninsula of Cedar Point! Estate Sized Waterfront Lot with New Steel Bulkhead.Boasts 194 Feet Frontage. With Magnificent Panoramic Views.Gentle Slope to Waters Edge.Deed Restricted Gated Community W/Central Sewer and Water,Swimming Pool and Club House.Stunning Homes Line the Street to the Tip End of this Peninsula the Cul-de-sac where this Lot is Situated.It is as an Empty Canvas awaiting the Artist Builder to Design and Build On This One Of A Kind W/F Lot.